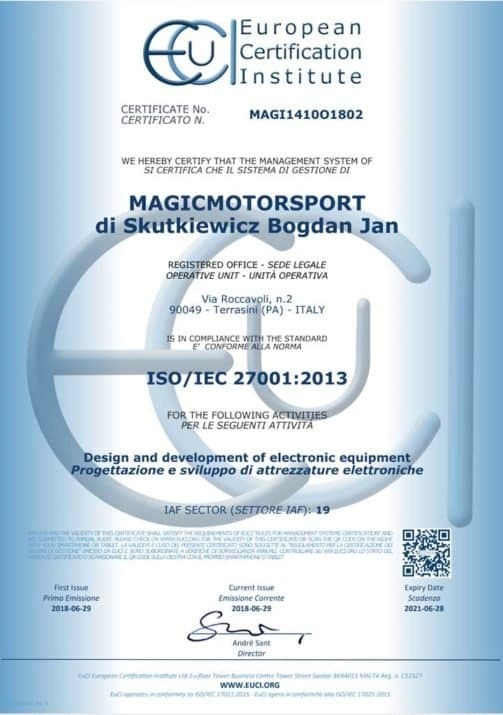 MAGICMOTORSPORT’s main objective is to support its customers. This approach is reflected in all aspects of our operations and is fundamental in order to provide the highest quality of service. Above all, it means that we are working tirelessly to eliminate potential sources of problems before they become an issue to our clients. Want to know more about us? Check our official online catalogue! The language barrier does not exist. Our team is ready to help you in English, Italian, Polish, Spanish, Romanian, French, German and Czech. Our technicians are ready to help you whenever necessary. You can contact us by phone, Ticket system or online chat. We are also ready to help you resolve technical issues which have not been caused by our tool for example diagnostic or engine electronics problems. The MMS Helpdesk provides access to a knowledge base full of resources such as user manuals, tech courses, training videos, trouble-shooters and "How tos" as well as a database of original ECU contents. We start new development projects based on market trends and customers’ "wish lists"
After several tests performed by our Technical Staff and Beta testers, we release new products or services. 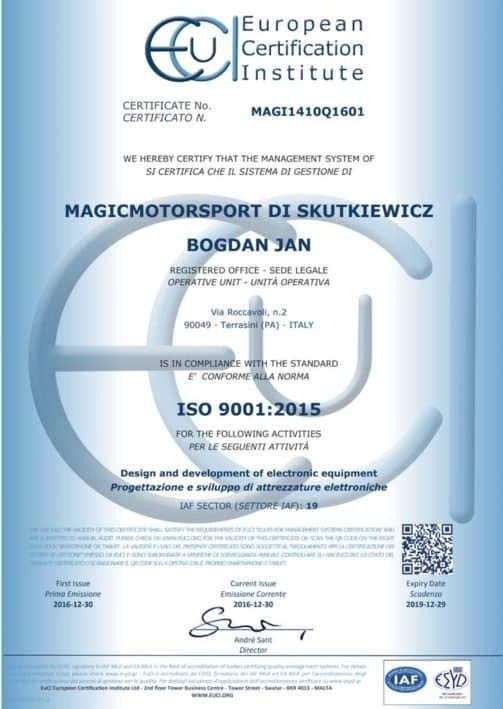 As always, MAGICMOTORSPORT strives to meet and exceed our customer’s expectations. Through our continuous improvement process we not only comply with standards but we also enhance them. The attainment of the ISO 9001:2015 and ISO/IEC 27001:2013 certifications establishes our fulfillment of the requirements for a quality management system that allows us to offer our customers the highest standards possible in terms of quality, IT security and respect for privacy.